Lap swimming has great benefits for your health and is very safe but there’s one problem with swimming in the pool every day – it might be boring. Watching patterns on the bottom of the pool and the pool clock is pretty much it. so we’ve decided to look into ways you can make swimming in the pool a little more interesting. To give your workout a better sense of purpose you can divide your workout into the sets with their specific focus and goals. This makes it more of a mission than an endless lap for hours. Building sets is an art and a skill but you can find many examples online to start with. You can also read more about the structure of swimming workout in our earlier blog post. Portable music players changed everything for music lovers but now you can also find mp3 players you can take with you to the pool. If you swim alone and have lots of laps to do, listening to music can be a real lifesaver! Choose rhythmic, energetic music to give you energy and generate excitement and your workout will be much more fun! Long lap swimming workout is also a great moment to focus on things that will help you greatly in the long term and will give you something to think about during the training – technique! You can obsess over every detail of your stroke, quality of your kick and watch your every movement to perfect your style and make it as efficient as possible. This will make you forget about hours of boring laps and will make you a better swimmer along the way. There’s a great culture in Masters clubs to watch others and help each other and we think everybody could use it as an inspiration for their long sessions. During the swim you can look at those who you think are doing a better job in the pool and look for the elements of their technique that help him/her achieve their results. Finally, you can use this time to let your mind relax and daydream a little as water gives us the feeling of being weightless and helps calm your nerves. 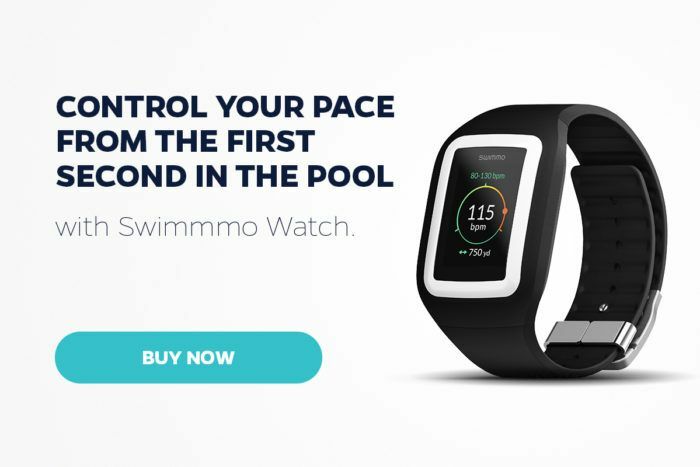 To make it possible and still get the job done you can use Swimmo Training Watch and App to count and control your laps and give you feedback via vibrations when your daily goal is achieved. This way you can stop thinking about the swim and just relax after your long day at work. Learn more about Swimmo Watch and App Features.